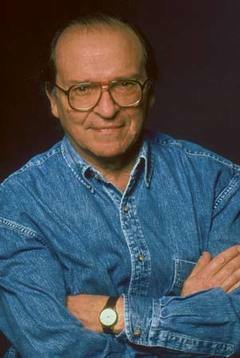 Legendary Hollywood director Sidney Lumet has passed away. Lumet himself may not be a household name to non-cinema fans, but most people have heard of his work. He was nominated for a Best Director Oscar for the films 12 Angry Men, Dig Day Afternoon, Network and The Verdict. Network is best remembered for Peter Finch’s iconic catch-cry “I’m as mad as hell, and I’m not gonna take it any more!”, which has since been parodied countless times ever since. Before taking on a film career, Lumet directed a number of productions off-Broadway, as well as a number of TV projects, before astonishing Hollywood with the massively successful 12 Angry Men (1957), a film which has since been remade with limited acclaim. His work with Henry Fonda in 12 Angry Men would follow over into their next film together, Stage Struck (1958), before Lumet directed Sophia Loren in That Kind of Woman the following year. His fourth film, 1959’s The Fugitive Kind saw him casting Marlon Brando, while his sixth film, 1962’s Long Day’s Journey Into Night, saw him directing Katherine Hepburn. In the next few decades of work, he made film with talent as diverse as Sean Connery, Vanessa Redgrave, Omar Shariff, Al Pacino (in both Serpico and Dog Day Afternoon), Albert Finney in the now-iconic Murder On The Orient Express, Richard Burton (in Eqqus), Michael Caine, Timothy Hutton, Anne Bancroft, Richard Gere (in Power), Andy Garcia and Richard Dreyfuss. Among the films he directed were The Wiz (featuring Diana Ross), A Stranger Among Us (with Melanie Griffiths), Running On Empty (wtih River Phoenix and Judd Hirsch), Q&A, Strip Search, and his final film in 2007’s Before The Devil Knows You’re Dead. Dog Day Afternoon, for which Lumet was nominated for a Best Director Oscar, ended up recieveing an Oscar for writing, while Murder On The Orient Express won Ingrid Bergman an Oscar for Best Supporting Actress. However, it was Network which bagged a slew of Oscars at the time, with Peter Finch, Faye Dunaway and Beatrice Straight picking up acting gongs, and screenwriter Paddy Chayefsky also getting a nod for his work on the script. Mr Lumet passed away in New York on April 9th, from lymphoma. He was 86. I've always wondered about filmmakers like Lumet, an incredibly talented though frequently outside the spot light — he put his talent, energy and rewards into his films and it's impossible to forget most of his films. Sure, there was The Wiz but just about every other film made careers, kept careers, or elevated careers build and since. His last film, Before The Devil Knows You're Dead is classic Lumet – not to suggest it stumbles at times, but clearly reminds us how and why he enjoyed such a long and notable career. Dude, it's comment 901!!! Thanks for playing! I also reviewed Devil a few years back, and thought it was a terrific film. You can read that review by clicking on our Big List page and following the link. Anybody reading this who hasn't discovered Sidney Lumet's work ought to do so. He was a truly gifted, vastly underrated, filmmaker of incredible taste and talent, and his knack for telling great stories will certainly be missed. When I look back over his body of work I'm not only surprised how many films he made but also thrilled that there are so many I have yet to see. I can't wait to check them out. I do believe he is one of the greatest directors to have worked in Hollywood and, admittedly, I base that opinion on having seen only a handful of his films. But that's testament to his genius – the films of his I have seen are so good, how could he not be considered alongside Hitchcock, Wilder, Spielberg, Scorsese, Kubrick and the rest. It does concern me that somebody as successful as Lumet isn't more readily known by the average filmgoer. Such a shame, because I've yet to find anybody who doesn't enjoy one of his films.